Whenever possible, share where teas (and ingredients in teas) come from. Some kinds of tea, like Chinese dragonwell, have historical origins tied to the West Lake area of Hangzhou. With origin-specific teas, sharing origin information enhances the authentic quality of the tea. In other situations, the origin of a tea is associated with certain processing elements. Quality Chinese jasmine teas, for example, are scented with natural jasmine flower. One of the best-known methods for scenting jasmine green tea involves stacking alternating trays of jasmine flower and green tea in a container. The aromas of the jasmine flower permeate the green tea naturally. While this technique may be imitated elsewhere, the method is a distinguishing characteristic of superior Chinese jasmine green teas. With a blend of ingredients, origin information can still provide useful background. Some origins have a reputation for producing better quality ingredients, or may be known for distinctive characteristics – like aroma, color, or flavor. This is not to necessarily imply that some origins are “good” or “bad,” but that each origin can have its advantages. Types of tea may include: white, green, yellow, oolong (aka wulong), black, dark (including pu’er or pu-erh), and herbal teas. These teas can be used to create blends, and they can also be flavored. Teas can be both blended and flavored. When talking tea, it helps to be able to explain that keemun is a black tea and earl grey can be a blended and flavored black tea. What Makes A Tea A Premium Tea? 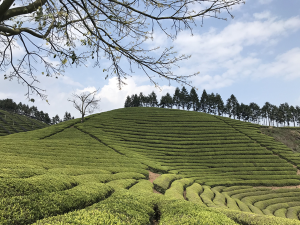 There is no universally accepted definition of “premium,” or “specialty.” Most of the time these terms get applied to teas that are single-origin, involve special or unique processing, or are otherwise less available than commodity-grade teas. 1. Is it consistent? Notice the size of the leaves or leaf portions. Are they generally the same size? If the difference in leaf and ingredient (in blends) size is too significant, smaller pieces will settle to the bottom of the bag. Fruit or herb pieces that are too large may not release as much of their flavor/components as smaller pieces. 2. How does it look? One of the most distinguishing traits of premium teas is the beauty of the leaf. Leaves reveal so much more beauty and craftsmanship than fannings and broken leaf used in cheaper teas. Both wet and dry leaf showcase these qualities. 3. How does it smell? Even with a single origin tea, premium teas produce generally contain more pronounced and natural aromas. Professionals use cupping sets to capture these aromas in concentrated forms, but sticking your nose in a small teapot of wet leaf can help people discover these rich aromas. 4. How does it taste? The easier way to talk about the taste of tea centers around personal preference- does the person like the tea? When comparing premium teas with other teas, the conversation should be steered toward comparing the performance of the flavor profile. This includes the complexity of the flavor profile. Premium teas often contain more layers and variety of flavor. Secondly, premium teas deliver more sustained flavors that don’t drop off or fall flat. 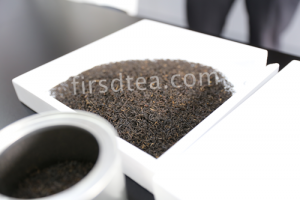 Third- premium teas deliver more texture/mouthfeel. Richer textures will fell more less like water and more like a silken or brothy coating. Finally, a premium tea will offer a more nuanced and lasting aftertaste. Instead of a saccharine or fleeting sensation, premium teas leave stronger, more lasting tastes in the mouth – even after the tea has been swallowed.